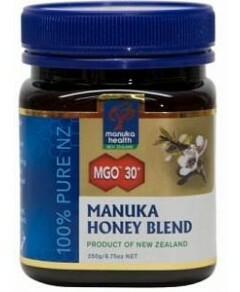 MGO™ 250+ Manuka Health Honey is certified to contain at least 250mg/kg of methylglyoxal. Scientific testing has recognised methylglyoxal as one of the vital compounds occurring naturally in New Zealand manuka honey. Methylglyoxal is only found in considerable quantities in some manuka honey and levels can vary significantly, so it’s imperative that testing and certification of each batch is carried out to guarantee methylglyoxal content. Every single batch of MGO™ Manuka Honey is checked and verified for guaranteed quality and methylglyoxal content as specified on the label.